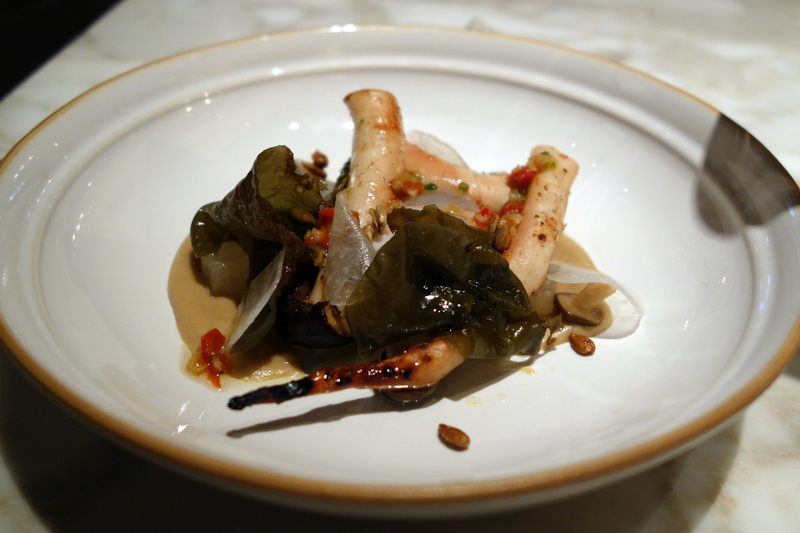 For my started I had octopus with daikon, aubergine and mushroom. The octopus was perfectly cooked and very tasty. I’m not sure the vegetable accompaniments worked quite as well as the more classic combinations (such as tomatoes and olives) but it was good to try a new blend of flavours. 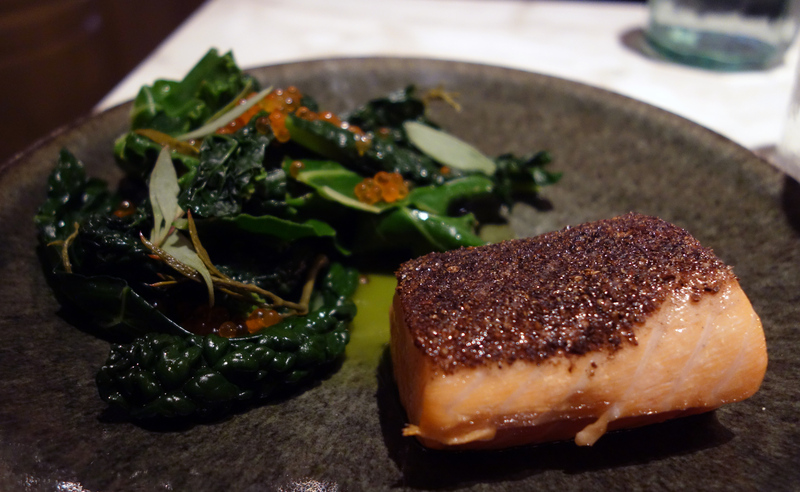 For my main I had salmon fillet and cavolo nero with salmon roe. The salmon was perfectly cooked, pink in the middle with a perfectly crisp skin and had some great flavour. The dressing on the kale didn’t quite detract from its bitterness sufficiently, but it was nice to get a proper serving of vegetables on the side rather than just a nod to greenery. For pudding we shared the chocolate torte and the cherry pudding. The chocolate option (seen above) looked pretty but wasn’t anything to write home about. 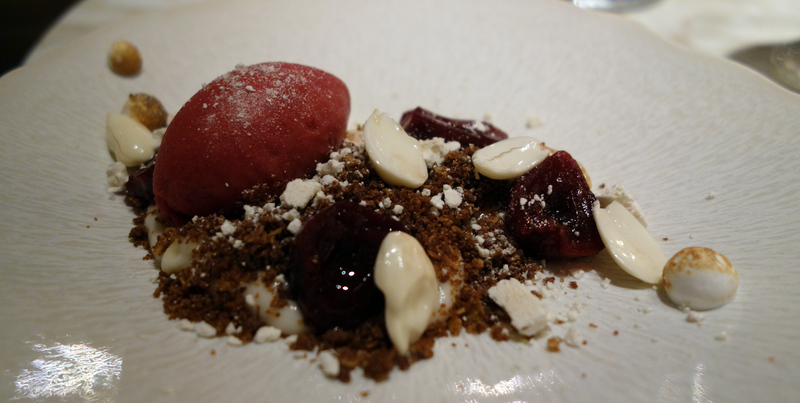 The cherry pudding – a mixture of fresh cherries, blanched almonds, an incredible cherry sorbet and a rich biscuity crumb – was flavoursome and light, delicious. The service was great throughout and the sommelier in particular was really helpful. She suggested a really delicious bottle of Keller Riesling von der Fels which I would really recommend if you like a dry, crisp but fruity white. In conclusion, I would probably describe this place as the Tiffany’s of the restaurant world…the food is good but you are definitely paying for the packaging (or the ‘it’ status of the place). 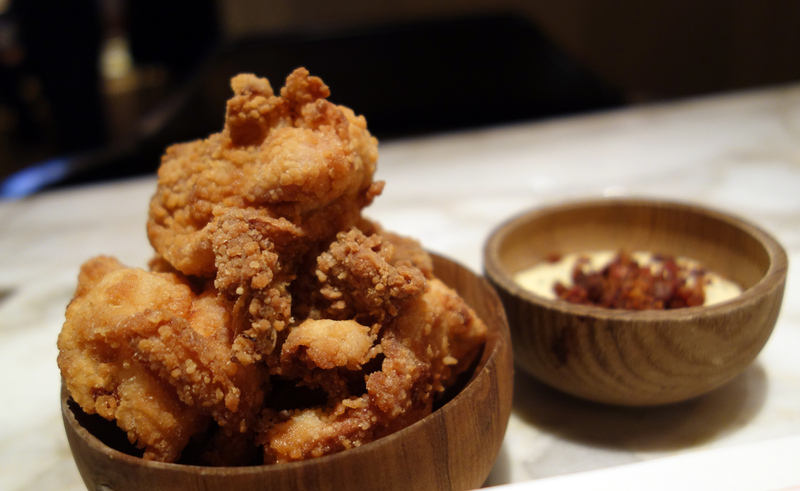 Compared to some of the amazing places you can eat in London for this price tag, I just didn’t think the food at the Chiltern Firehouse was up to the prices that it charges. The bar however is definitely worth a visit…good drinks and a buzzing atmosphere. 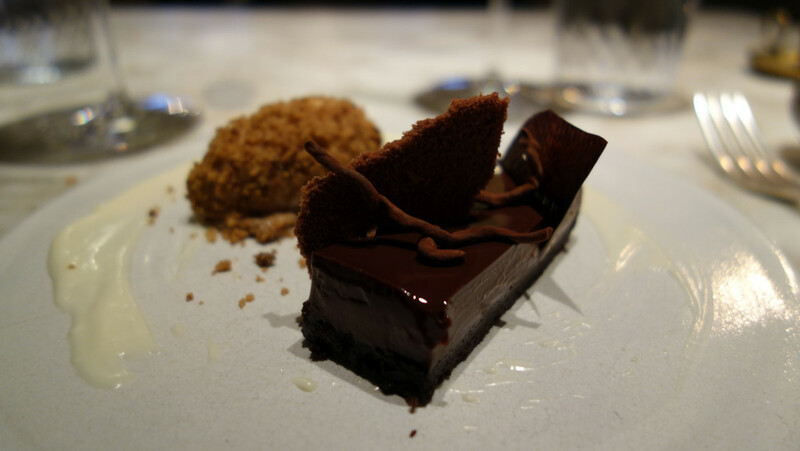 This entry was posted in eat and tagged Chiltern Firehouse, London, Nuno Mendes, United Kingdom. Bookmark the permalink.